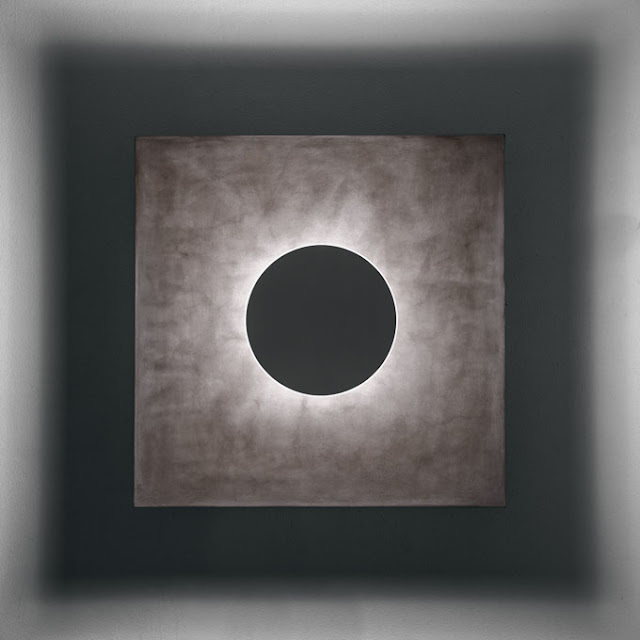 Sisifo from Stardust is a design by Chicago-based Scott Wilson for Artemide Lighting Italy. Winner of the prestigious if design award 2015, Artemide's Sisifo, an adjustable desk light for the office or home, is scott wilson's new hybrid luminaire for artemide. 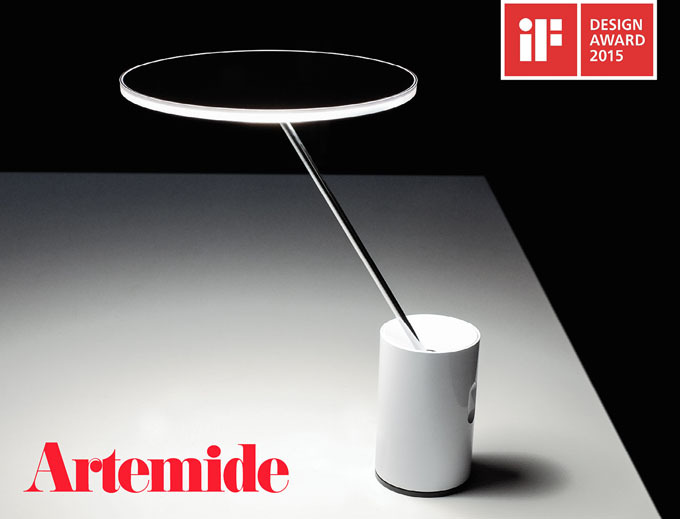 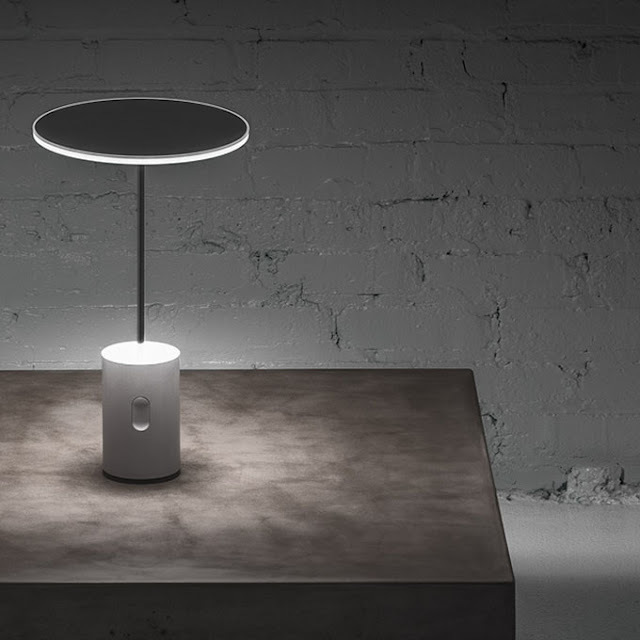 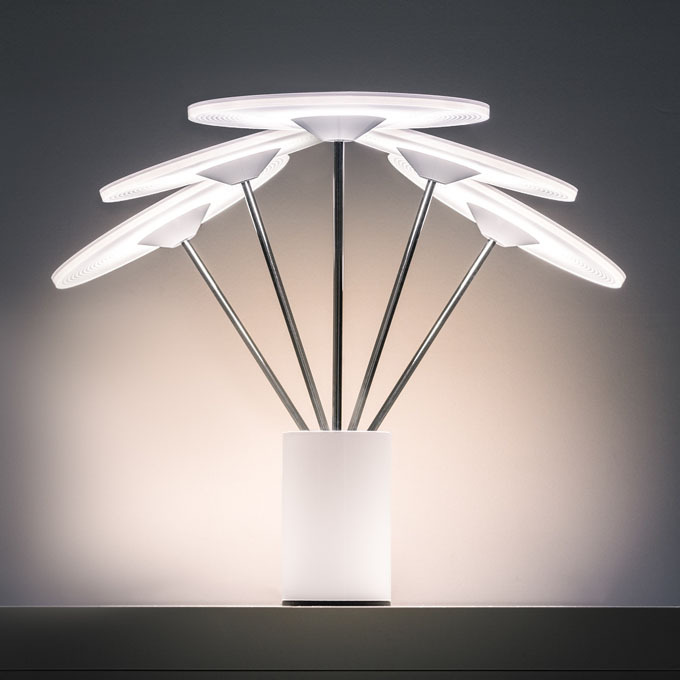 Balancing task and ambient lighting needs, Artemide's Sisifo delivers high efficiency led lighting without compromise. 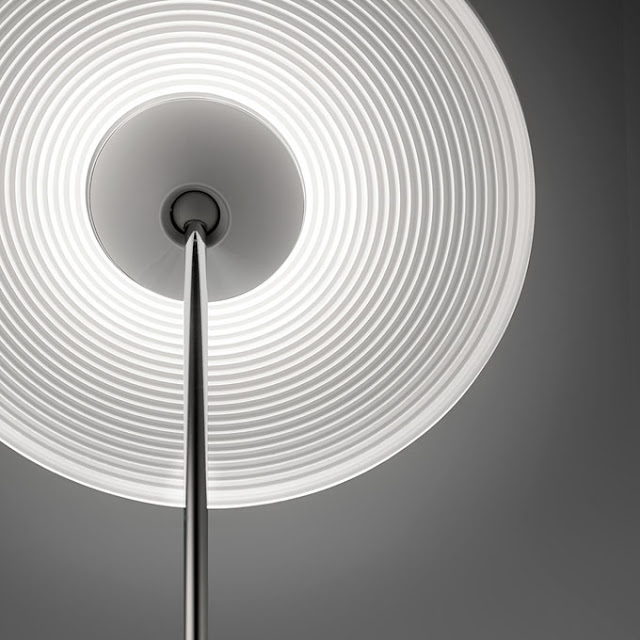 With its spherical central articulation, Artemide's Sisifo’s diffused disk of light gracefully balances and easily rotates 360 degrees. 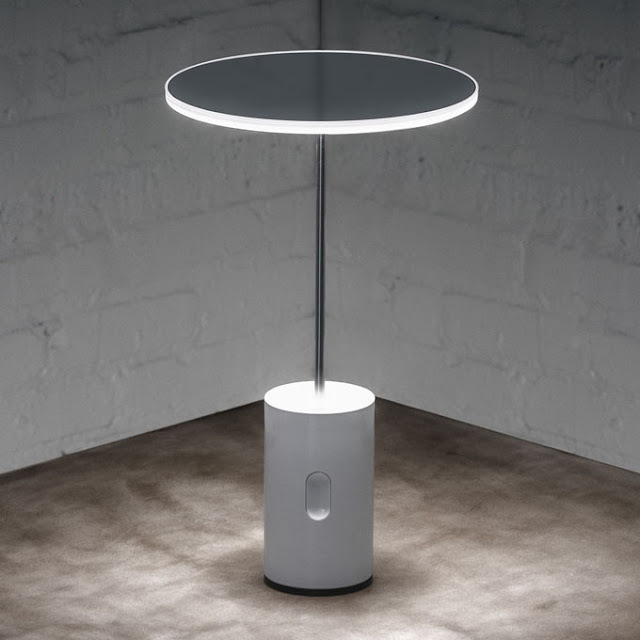 The small footprint weighted base and double ball joint were designed for minimum encumbrance, allowing the lamp head to effortlessly float and the light source to adjust for any application. 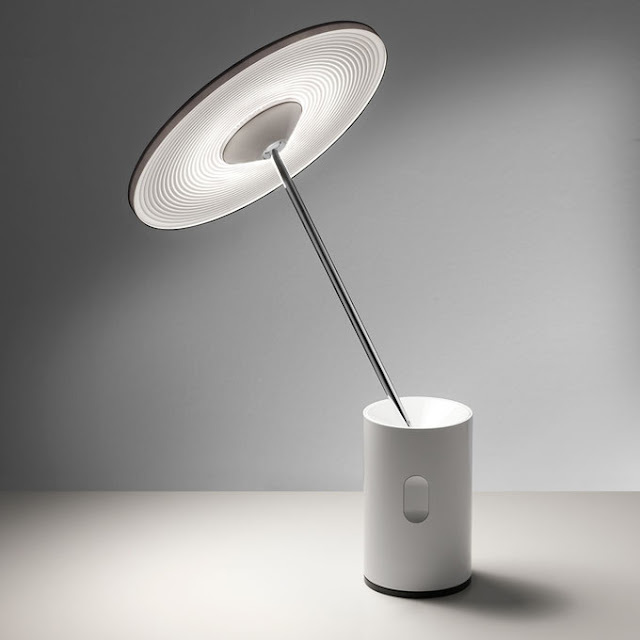 The intuitive on/off touch dimmer control at the front of the base invites user interaction and Artemide's Sisifo's powerful light source utilizes a fresnel pattern to evenly spread the light while eliminating harsh shadows. 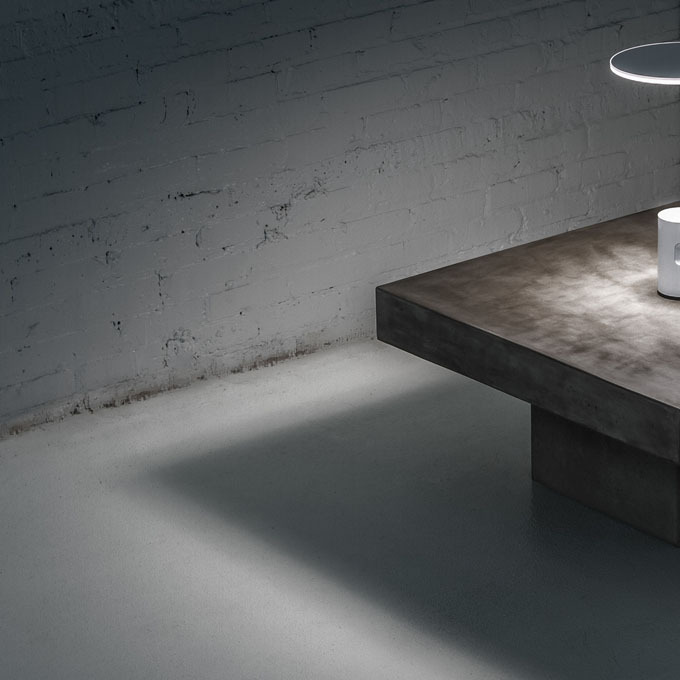 From the moment the lamp is switched on, there is a sense of magic. The controls are crisp, the movements are smooth and the light is soft, making it perfect to use on both larger tables and smaller bedside surfaces.